SMS is a common technology used for the delivery of OTPs. Text messages provide a ubiquitous communication channel, and are directly available in nearly all mobile handsets and, through text-to-speech conversion, any mobile or landline telephone. 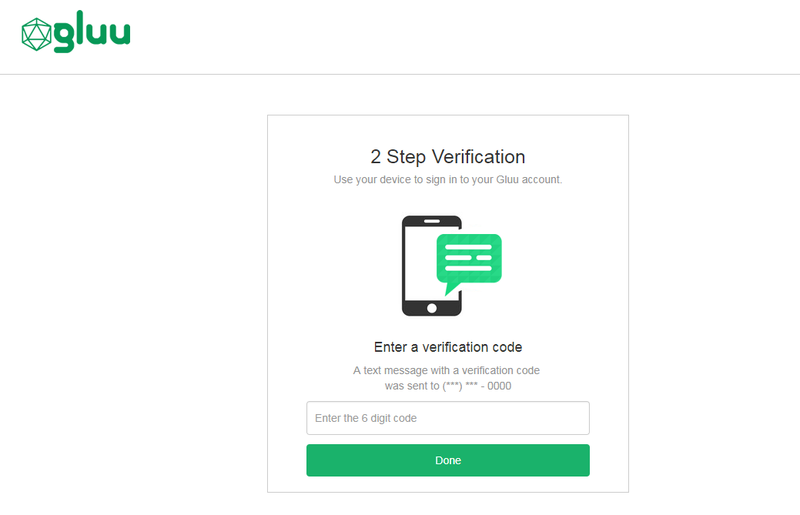 This document explains how to configure the Gluu Server for two-step, two-factor authentication (2FA) with username / password as the first step, and an OTP sent via text message as the second step. As indicated, this script uses the Twilio cloud communications platform to deliver SMS messages. Twilio offers Voice, SMS, and MMS capabilities, but we will only need SMS for the purpose of this document. When registering for a Twilio account, you will be asked to verify your personal phone number, and then will be given a Twilio phone number. Ensure the number given is SMS enabled and supports sending messages to the countries you are targeting. You may need to enable countries manually (see the Geo permissions page). Twilio trial accounts only allow sending messages to mobile numbers already linked to the account, so for testing you will want to add (and verify) some additional numbers besides your personal one to make sure the integration is working as expected. When you are ready to move to production, you will want to purchase a Twilio plan. twilio_sid: Paste the "Account SID" of your recently created Twilio account. You can find this value in your account dashboard. twilio_token: Similar to your SID, you were also given a token upon registration. from_number: Use the Twilio number that was provided when you created your account (not your personal number). Now SMS OTP is an available authentication mechanism for your Gluu Server. This means that, using OpenID Connect acr_values, applications can now request OTP SMS authentication for users. To make sure OTP SMS has been enabled successfully, you can check your Gluu Server's OpenID Connect configuration by navigating to the following URL: https://<hostname>/.well-known/openid-configuration. Find "acr_values_supported": and you should see "twilio_sms". If SMS OTP should be the default authentication mechanism for all access, change both fields to twilio_sms. A login page that is displayed for all SMS OTP authentications. The designs are being rendered from the Twilio SMS xhtml page. To customize the look and feel of the pages, follow the customization guide. The script assumes the user phone number is already stored in his corresponding LDAP entry (attribute phoneNumberVerified). You can change the attribute by altering the script directly (see authenticate routine). All authentications will trigger an SMS with an OTP to the registered phone number. Enter the OTP to pass authentication. A user's registered phone number can be removed by a Gluu administrator either via the oxTrust UI in Users > Manage People, or in LDAP under the user entry. Once the phone number has been removed from the user's account, the user can re-enroll a new phone number following the phone number enrollment instructions above. Also make sure you are using the latest version of the script that can be found here. To offer end-users a portal where they can manage their own account security preferences, including two-factor authentication credentials like phone numbers for SMS OTP, check out our new app, Gluu Casa.